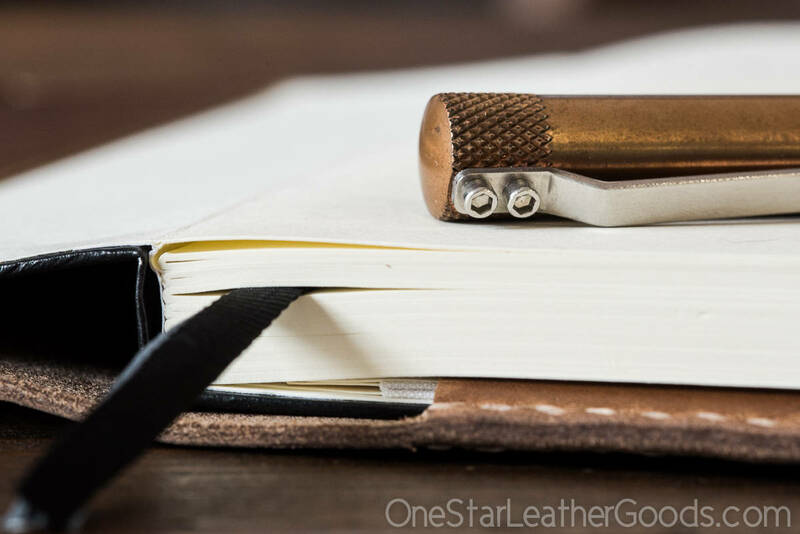 The popular Leuchtturm 1917 notebooks are great with fountain pen inks and make a great daily journal, planner, calendar, scrapbook, sketchbook... 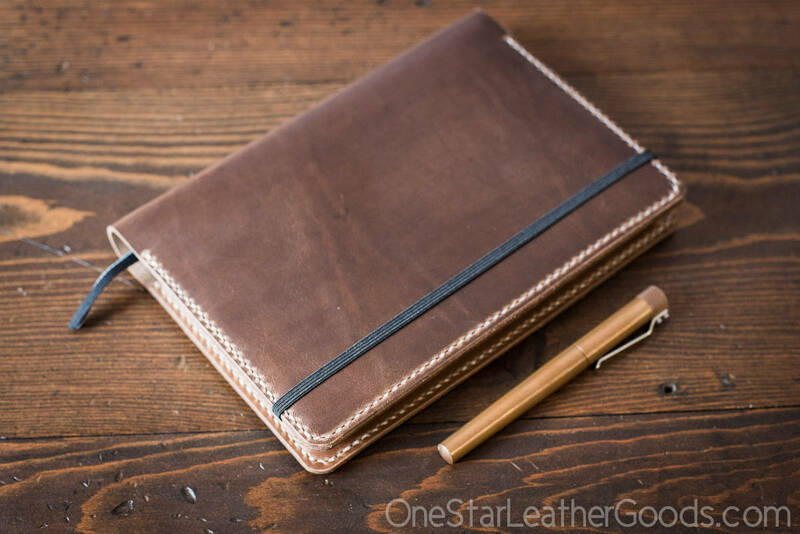 The exterior piece is thick and supple Horween leather, the inside is bridle leather from the Hermann Oak tannery. 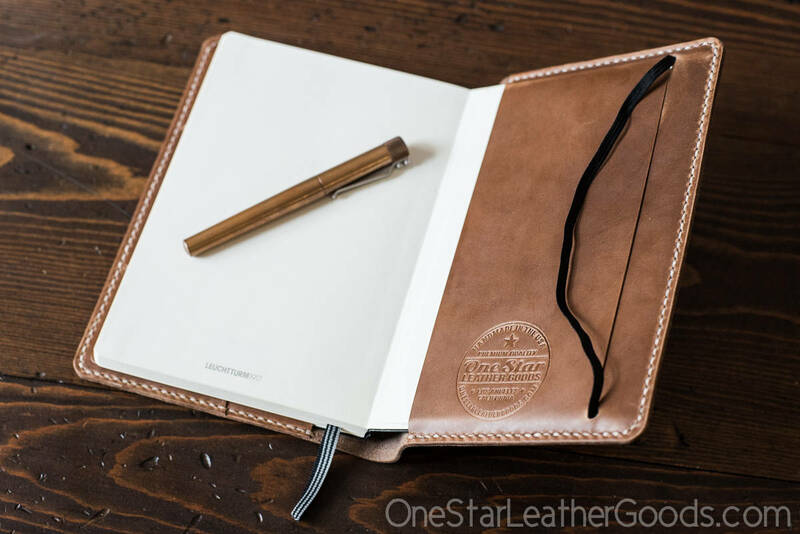 Both are superior quality leathers. 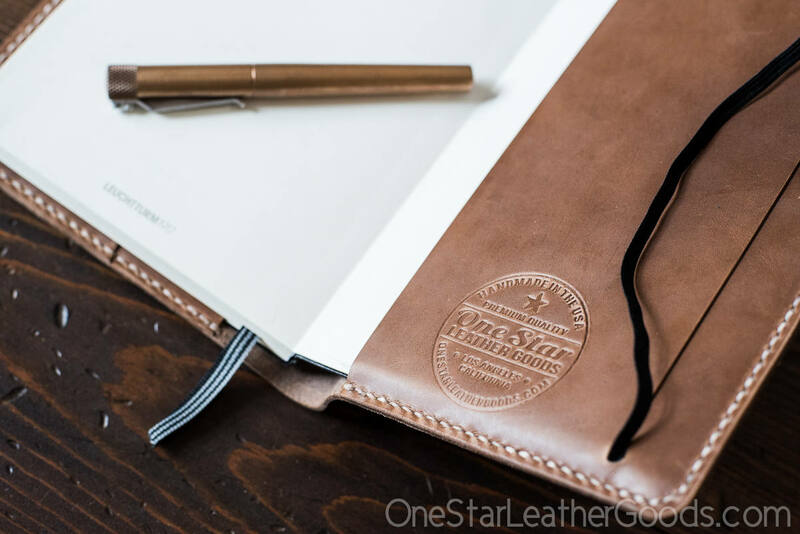 Each cover is made to order--hand cut, assembled, stitched and finished with care, and it feels simply incredible in your hands. 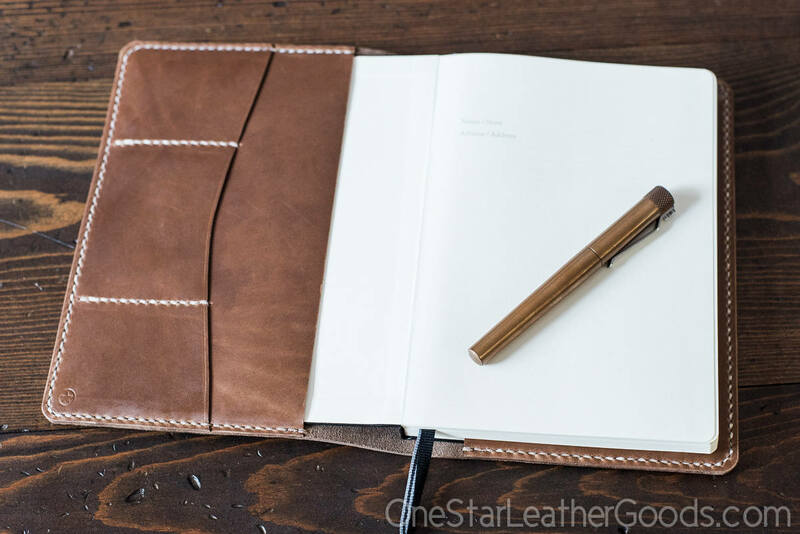 Buy it once and refill it with a new notebook whenever you run out. 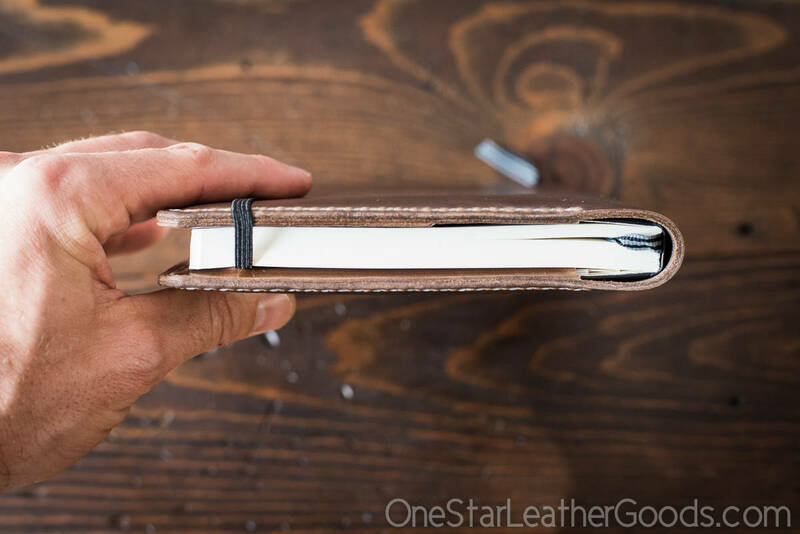 This is a perfect and snug fit for the: Leuchtturm 1917 Medium (A5) Notebook, hardcover, 249pgs, 145 x 210 mm. You can choose whether or not you would like to purchase a notebook with this cover (+$20). The Leuchtturm notebooks I sell have dot grid pages.